If you are looking for the best view on top of the world and wild horses, then Marlboro Country is the place to go. 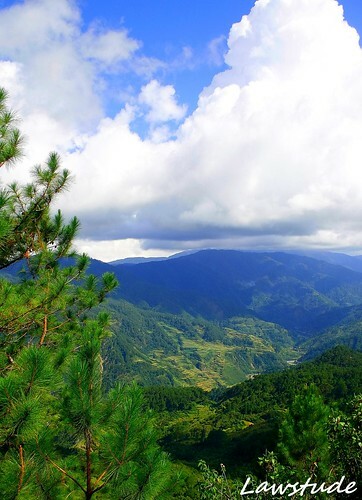 Located in Lamagan which is on the western part of Sagada, the place is one of the highest points of Sagada. Like most of the attractions in Sagada, a trip to Marlboro Country required an accredited guide. So, the Tourist Information center provided us one. We rented a van that took us to the foot of the hill on a rough, stony path. We then trekked for about thirty minutes to reach the summit of the Lamagan. Check out Benj's account of the place here. 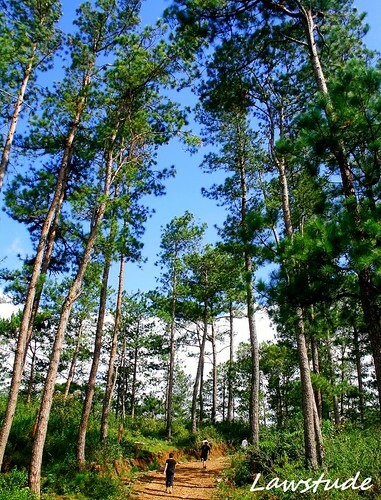 For more information about Sagada, you may want to check out Visit Sagada by clicking here. ganda naman. marlboro country talaga name jan sa lugar na yan? mukhang fresh na fresh ang hangin jan ano? ang sarap siguro maglakwatsa. Wow this is so beautiful. The trees are so tall and it make you all looked so tiny. The scenery is so superb and the air must be very fresh. Marlboro country may wild horses supposedly. Lamangan ata talaga yung pangalan ng barangay. breathtaking yung view. i love it. I'm jealous with the jump shot! I liked the caption, come where the flavor is. I was not thinking of cigarette though. Heehee. haha. nice name. marlboro conutry. uhmmm... i wonder, dyan ba nagsu-shooting ang marlboro ng ads nila? hehe. Ang ganda ng place atty. Nararamdaman ko na ang ihip ng hangin at ganda ng tanawin. Kakainggit. I need to go back to Sagada...it seems I missed it all. Hay, hanggang pangarap na lang talaga ang Sagada sa akin. Parang ang hirap puntahan ng lugar, eh. Wow!! ang taas ang talon ni Daniel. ang ganda ang pagka-shot. Perfect! We hope that our future generation will still see and enjoy its beauty. Nothing beats a trek to the mountain and see the world from the top. Nice shots! kulang nalang mountain dew ang softdrinks na dala ko,(teka may ads pa)...ganda ng view pards! This is more of a place for me. How is the trek? Is it difficult to go there? wow! the view is so nice! I so totally LOVE the fifth shot. Brilliant! You're right - the views are gorgeous! Hi Norman! Profiting from today’s holiday – the 99th anniversary of the Republic in Portugal - I’m happy to have some more time to surf the net and enjoy your blog! you forgot to include the surgeon general's warning, "cigarette smoking is dangerous to your health!" hehe. Come to where the flavor is... the flavor of pot definitely fits in there. Mary Jane Country dapat yan lol. Sagada is truly a wonderful place. Too bad I haven't been there. Sana makapagplan ako soon to go there. You have wonderful photos! Wow, beautiful country side. Was this place named after the cigarette or vice versa? Just kidding. LS: What a majestic view, thanks for sharing all the beauty of the area in the clouds.